I've been feeling a little under the weather for the last few days, so I thought I would quickly share some necessities in my life right now. When I'm sick, my skin gets so dry, it begins to feel like the Sahara. So, let's start with skincare. This is such a rich, creamy, and moisturizing body lotion. I typically reserve this for when my skin is extremely parched. It keeps my skin soft and hydrated throughout the day. I use this even when I'm not sick because it's especially helpful in the office when the air has sucked the moisture out of my skin. It's soothing and refreshing. I like to keep a bottle of this in my purse / on my desk more often than not. This is a wonderful oil (so wonderful that when I realized I was almost out, I immediately purchased a new one). It soaks into the skin quickly and leaves it feeling so soft / hydrated. 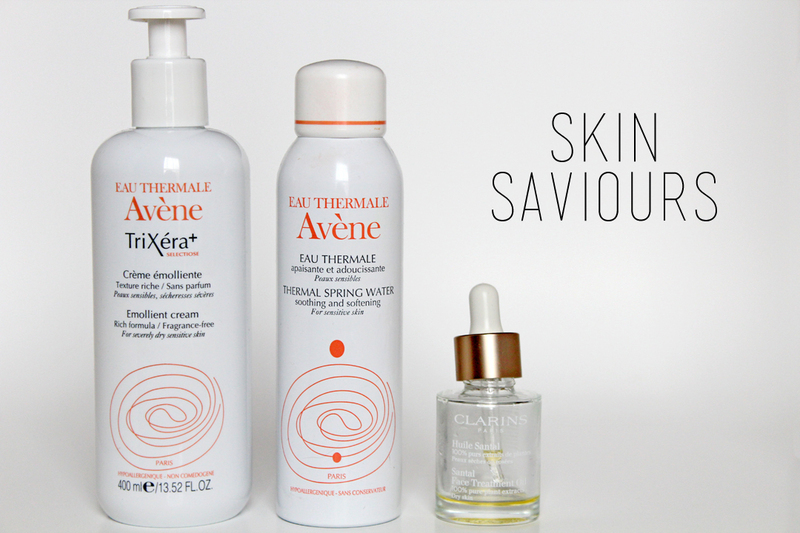 It's the only saviour when my skin is dried out. I still use this when my skin is at it's normal state (i.e., normal / combination). It's not something I would recommend for oily / combination skin though, it may make your oil glands go into overdrive during the day, but for a nighttime treatment, you may like it. Moving on to some makeup things. I like fool proof makeup in general, but especially during those sick days. If I didn't have to work, I would just be makeup-free and PJ-clad at home, but since I have to venture to the office, I like my makeup to be really easy and thought-free. I've been having trouble sleeping, so my eyes have been extra puffy in the morning. I really like this gel-like under eye mask because it feels very soothing. I keep this in the fridge so it feels extra cool on the skin, and I will apply a generous amount under the eyes and let it sit for about 10 minutes. It helps my eyes look more fresh and awake. 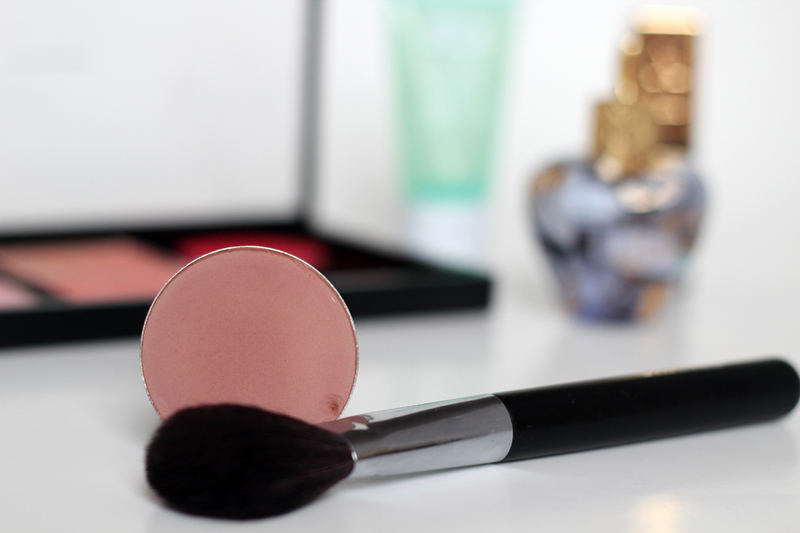 This is my favourite no-fuss blush. It's so easy to wear and nearly impossible to get wrong. It provides a soft warm glow to the skin with minimal effort. 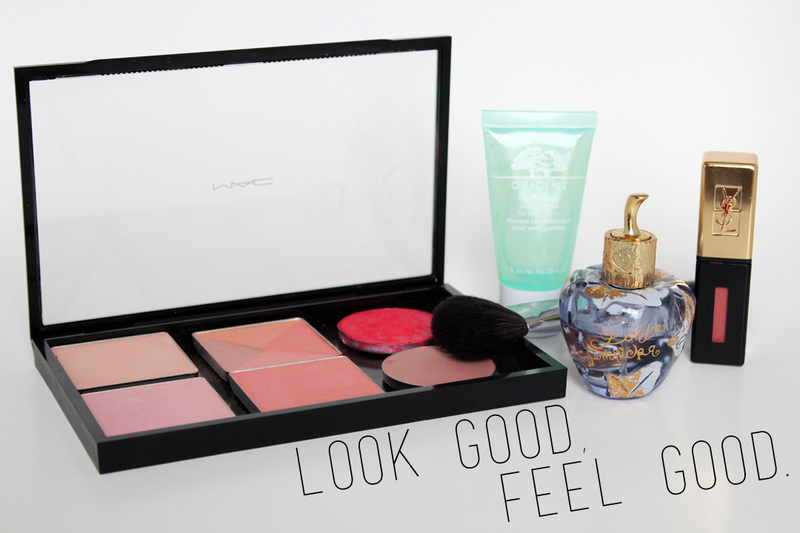 It's great for brightening the complexion on those sick days. See a separate review here. 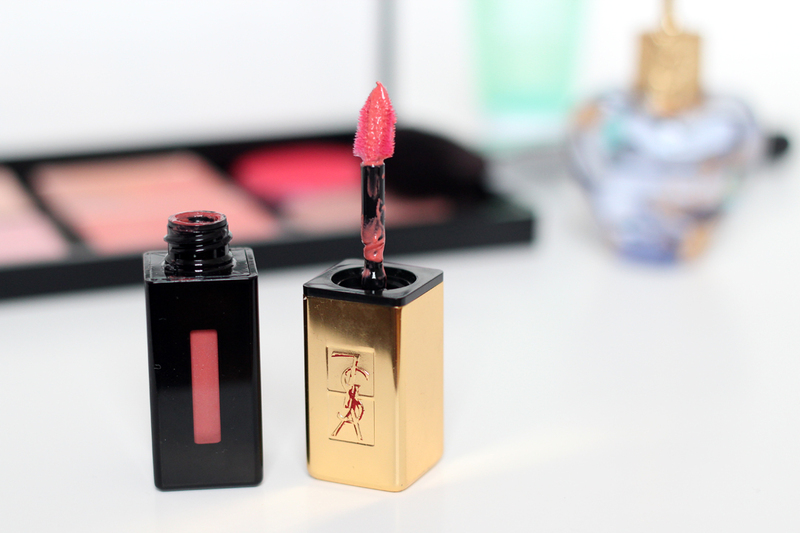 My lips love these glossy stains, more specifically his beautiful coral shade. I especially love it because it's easy to apply, comfortable to wear, and long lasting. I like that I don't have to worry about it throughout the day. See a separate review here. 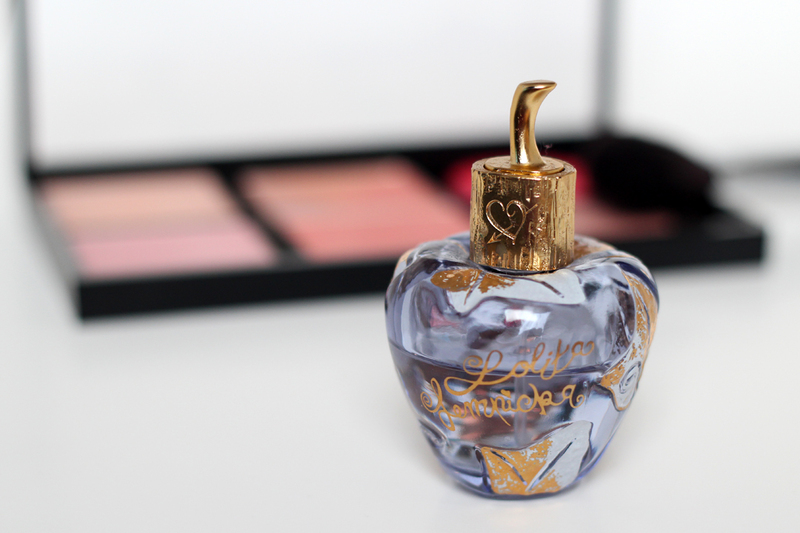 I adore this fragrance. It's full-bodied and feminine. A lovely fruity / floral scent. More specifically, it's a Heady Nectar of Liquorice Blossom, a blend of liquorice accords with a floral-oriental-gourmet top layer. I'm addicted. I love wearing fragrances, especially when I'm sick, I'm always paranoid that the way I'm feeling will manifest into an odour :/. Anything warm really helps, but I especially love green tea with lemon. 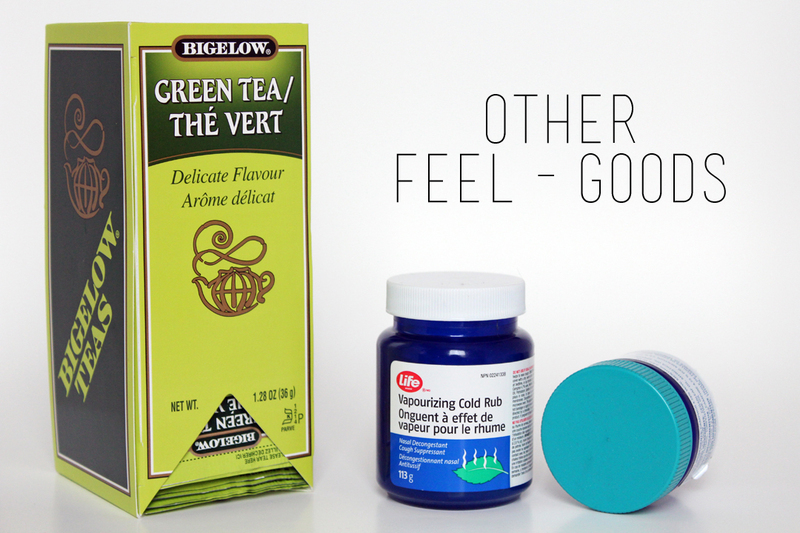 Plus, green tea is supposed to be anti-viral and anti-bacterial. I cannot get enough of vaporub. I love the warming feeling because it's soothing and a great decongestant. The Life Brand one is my favourite, even more than the Vick's one. Lastly, what's a sick day without a call to your mom? I actually read in a magazine that it's clinically proven that your mother's voice (in most cases) is de-stressing and soothing. Green tea always makes me feel amazing. 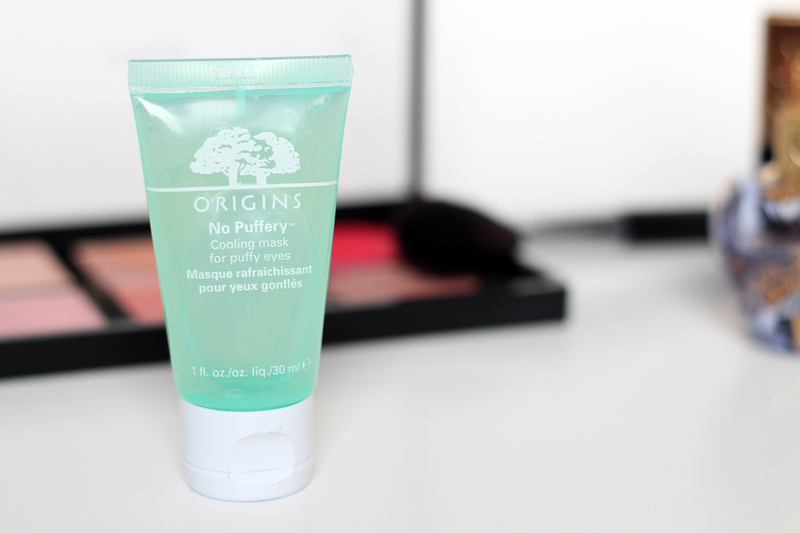 I love Origins products too! A face oil is so essential when I'm sick; I think massaging it around my sinus area really helps. I also do a hot lemon tea and inhale salt-water steam. Feel better! 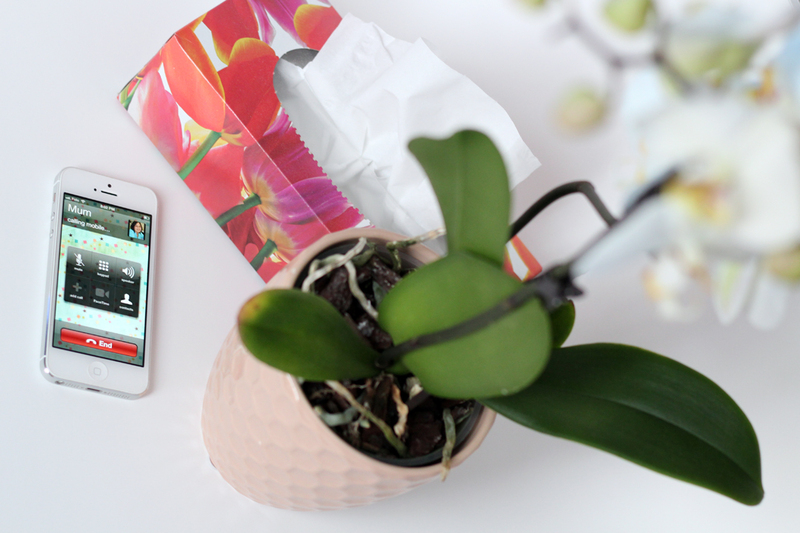 PS I'm new to your blog and I just wanted to say that I love your photos! I love giving myself a facial massage when I'm sick. It does help! And steam is awesome! Really decongest! Great post Aleeza! 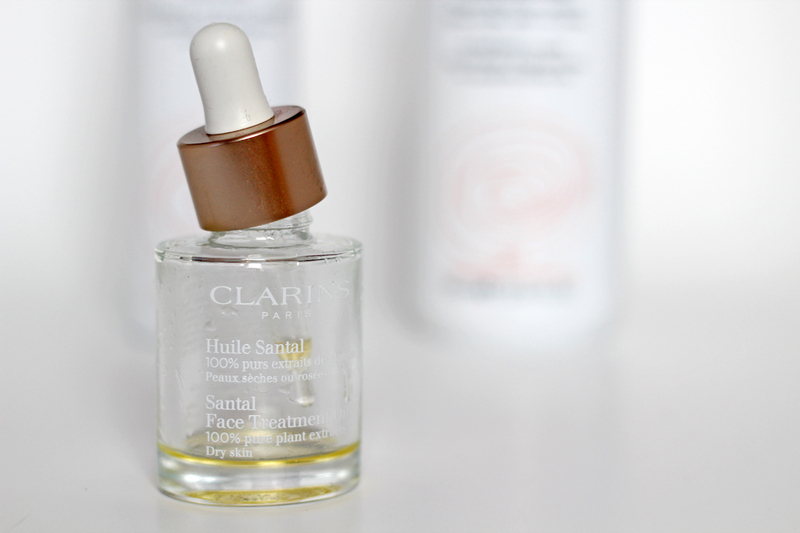 How similar is the Clarins oil to argan oil? Thanks, Jayne! I don't know if it's just me, but the Clairins Oil feels a little thicker on the skin. Love this post! I hope you're feeling better now! I also love the new header. So springy and pretty!